Company to demonstrate MuProof™, a new color management tool for soft proofing printer color output on mobile devices. 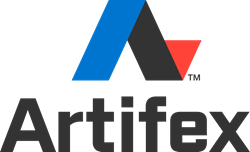 Artifex Software, developer of Ghostscript® (a comprehensive PDL Interpreter that is an industry leader in PDF, PostScript, PCL, and XPS rendering and conversion) and MuPDF® (lightweight PDF and XPS interpreter) will be an exhibitor at the upcoming PRINT 17 Conference being held at the McCormick Place, Chicago, IL from September 10 – 14, 2017. Artifex will be located in Booth #139 located in McCormick Place’s South Hall. In addition to its traditional presence related to Ghostscript and MuPDF, Artifex will be demonstrating MuProof, a new tool that will enable soft proofing printed images for color output accuracy via a mobile app. MuProof integrates color management code into MuPDF’s small, lightning fast PDF rendering technology to provide a portable, easy-to-use soft proofing tool for your printing workflow. With an ICC-based workflow for color management, MuProof helps take the guesswork out of printing – you will know what your image will look like before it gets printed, saving time and money in the printing process. Organizations interested in Ghostscript, MuPDF or seeing a demonstration of the new MuProof tool can visit the Artifex booth at PRINT 17, Booth 139, McCormick Place. Or, you can contact the company at sales@artifex.com for more detailed information.